The Year of New Editions continues along. This time it's from Victory Point Games. 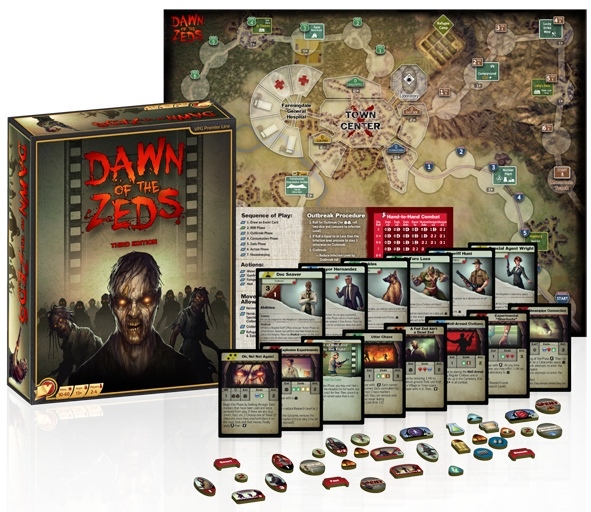 Though we kinda saw this one coming, as they'd ran a Kickstarter campaign for Dawn of the Zeds 3rd Edition. Always good to see a Kickstarter be successful and then show up for everyone. You can get get your copy now. 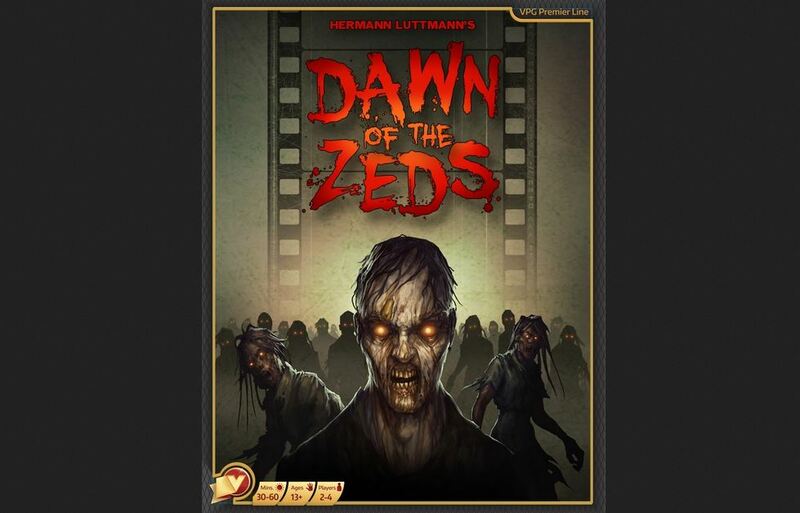 For those that don't know, in Dawn of the Zeds you take on the role of citizens of Farmingdale. Something out there is causing people to turn into zombies. You've gotta protect the city at all costs. Use your resources wisely, lest the zombies overtake the town and the little bit of help you were getting from the outside decides you're a lost cause and pulls out. The game is fully cooperative and seats 1-4 players.